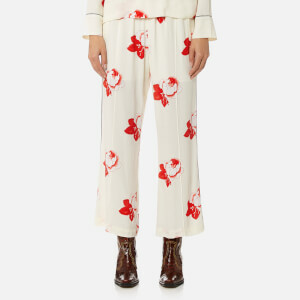 Women’s ‘Piping Pin Track’ trousers from McQ by Alexander McQueen. 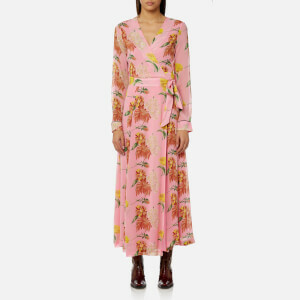 Crafted from a silky, flowing material, the wide leg trousers comprise an elasticated waist with drawstring fastening and contrasting piping to the cuffs. 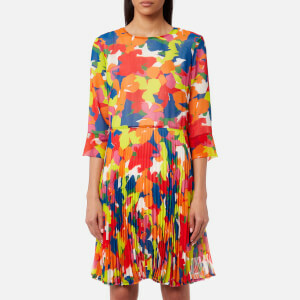 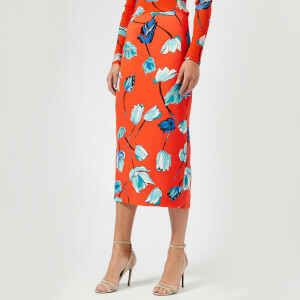 An all-over floral print in bold colours completes the design.